The Port of Antwerp recently gave a sneak preview of what the breakbulk industry can expect over the coming year, by hosting an underwater-themed boat tour on Antwerp’s breakbulk dock. Opened by Antwerp’s Vice-Mayor, the Port of Antwerp treated 400 breakbulk professionals to an exclusive evening of networking and entertainment, including an opera performance on the water and an impressive sound and light show. Antwerp XL received a special mention in the opening remarks and a warm welcome from the entire breakbulk community present. 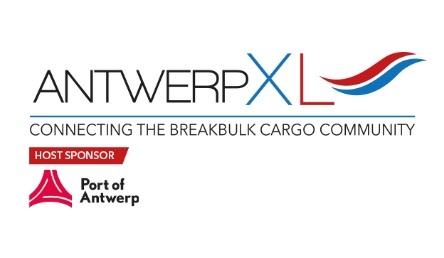 In response to the need for a breakbulk event back in Antwerp, the exhibition is serving the needs of the industry and is now set to be the leading global event for the entire breakbulk supply chain. In addition, Antwerp XL has gained global recognition and support from major ports, associations, knowledge platforms and media and through an extensive marketing campaign is capturing the attention of professionals around the world. Dry Cargo International, Heavy Lift, Project Forwarding International, Forwarder Magazine and Baltic Transport Journal are just some of the international publications now partnering and promoting the event next year as well as industry partners Project Cargo Network, Antwerp Freight Forwarding Association, Project Professionals Group and Cross Ocean. 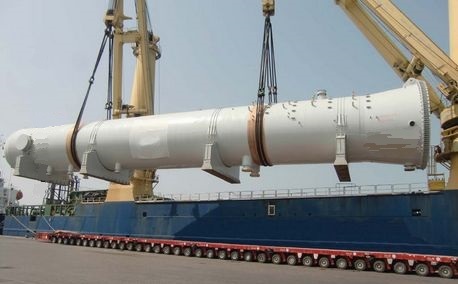 Other media partners supporting the event include Actualidad, Supply Chain & Logistics Group, Ship2shore, Cargo Connections, Forklift Action, Project Cargo Weekly, CLC Group, Freightbook, Harbours Review and Universal Freight Organisation. Some of the latest exhibitors to join this month include Liebherr-MCCtec Rostock, Q Terminals, A Projects, Manora Logistics, Caribbean Lines, Global ISL BVBA, Ovet BV, Aertssen Group, Katoen Natie and Charterama BV to name just a few. Antwerp XL will be organised by Easyfairs, one of the world’s fastest growing exhibition organisers. Headquartered in Brussels, Easyfairs has extensive experience within the manufacturing, oil & gas, cargo, maritime, transport & logistics industries and runs over 220 exhibitions worldwide. Antwerp XL will take place in Antwerp on 7-9 May 2019.